Import Management: Any Need For Self-Sufficiency In Edible Oil? BEIJING: In 2014, Pakistan imported over $2 billion worth of edible oil, its second largest import item after fuel oils. The imported lot of edible oil meets over 70% of country’s total annual consumption of 3.7 million tons. In addition, Pakistan also imports oil seeds valuing $669 million for oil extraction purpose every year. With an annual extraction of around 600,000 tons of oil from local oil seed crops, Pakistan is effectively meeting just 16% of its edible oil requirements from local sources. For the remainder, it relies on imports. All imports are not the same. Now the question arises whether our agro-economy is capable of fulfilling our oil seeds requirement. Is this a matter of introspection for a country with 70% rural population? We need to take a break here. It is not an embarrassing moment for us. There are more countries in the world that are dependent on imports to fulfill their edible oil requirements than countries which are self-sufficient. However, differentiation lies in the shape of imports of individual countries for serving their needs of edible oil. And for this, we take a look at the value chain of edible oils. Oil seeds from plants such as palm, soybean, rapeseed, sunflower and others are the main raw material for the edible vegetable oils. Under the extraction and refining process, edible oil refineries first obtain crude oil and then refined oil. From commercial perspective, edible oil processors will look at the prevalent duty structure, price spreads and processing costs of oil seeds, crude oil and refined oil. Among these three factors, duty structure is linked with the government measures, whereas the price spreads are dependent on global dynamics and processing costs remain local phenomena linked with technical efficiency and business environment. Now, where does Pakistan stand on relatively controllable factors? At present, Pakistan has 120 licensed manufacturers of edible oil with an annual production capacity of 3.6 million tons. Most of these plants are operating much below their capacity. Only four edible oil companies are listed under the Vanaspati and allied segment on the Pakistan Stock Exchange. Consolidation appears to be lacking in the industry, where processors seem to be making margins even at lower capacity. 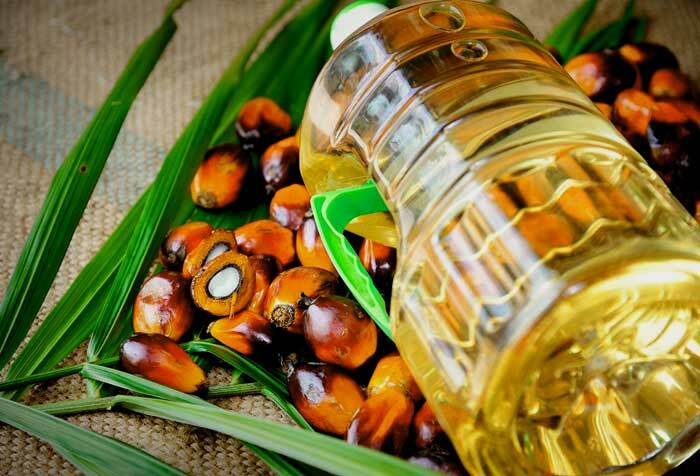 Imported edible oil primarily consists of palm oil from Malaysia and Indonesia. On the tariff front, the government has kept the differential, by imposing higher tariff on imports of refined edible oils. However, Pakistan is still importing higher amount of refined oils as compared to crude oil. On comparative basis, Indian case, with similar agro endowments, presents a different picture. In India, share of crude palm oil in total edible oil imports is 81%, whereas in Pakistan, it stands at mere 4%. Now, it becomes a case of much lower value addition at Pakistan’s end. Government needs to investigate this anomaly that discourages local refineries from engaging in value addition process. Possible factors that ought to be looked into include tariff differential and retail price cap. An encouraging factor for Pakistan is the increase in recent years in imports of oil seeds such as soybean and canola. We can take a leaf from China, which along with India, is the largest importer of edible oils. Total annual demand of edible oil in China crosses 30 million tons. However, it extracts 24 million tons of edible oil from imported oil seeds. While Pakistan fulfills a small portion of its demand by processing oil seeds into refined oil, for China the portion is close to 80%. These two examples denote gaps in policy and operating structure in Pakistani edible oil market. The country can save substantially the foreign exchange spent on importing expensive refined edible oils by taking into account the policy measures taken by China and India. We need to encourage more value addition and consolidation in this sector. Pakistan is among the largest consumers of edible oils in the world. Instead of spending efforts on controlling prices, if government pays more attention to structuring the market for more value-driven initiatives, it will eventually result in lower prices for end-consumers. Published in The Express Tribune, May 23rd, 2016.